Update: 22 March 2017 – Here is a nutritional breakdown for Pepperidge Farm Raisin Cinnamon Swirl in case you would like to try this sandwich with a lower calorie bread. One slice. Calories 80, Fat 1.5 grams, Cholesterol 0 grams, Sodium 100 mg, Carbs 15 grams, Sugar 5 grams, Protein 2 grams. 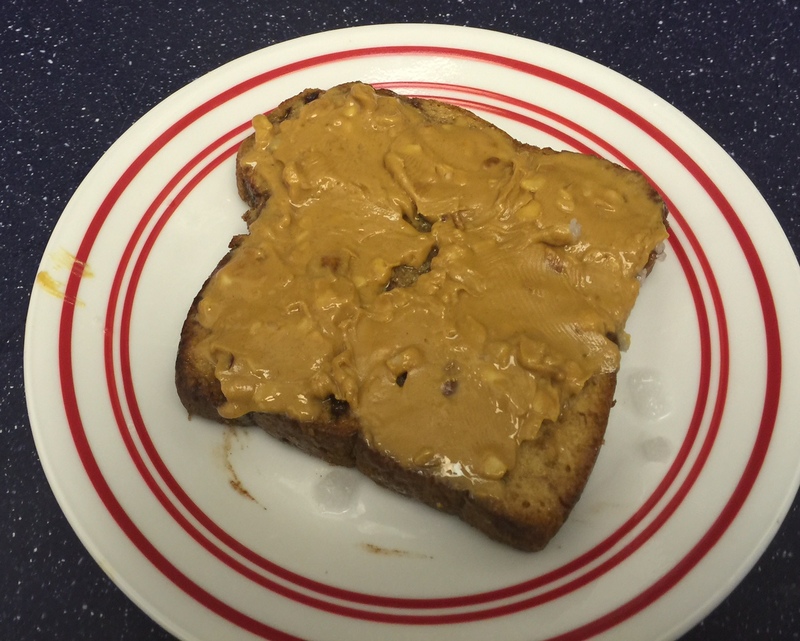 As a former peanut butter and jelly sandwich eater, I want to recommend this on the basis of taste as well as nutrition. If you try it out, please share your impressions. I personally think this has such a nice sweet undertone to it, that I consider it half main course and half dessert. It is still a pleasure, just a little less calories and guilt. Oh dear that looks great! D: AND you added peanut butter (which is probably MY guilty pleasure – one of them, anyway).